The separation size of shale shaker depends on shaker screen size. We call it API size or mesh size. The API defers from API 20 to API 325 per API RP13 standard.Through changing different API size shaker screen, the shale shaker can separate solids size min. above 40μm (at API 325 shaker screen). If you do not need to separate so fine solids, you can choose more fine shaker screen, like 800μm.The common screen API size for shale shaker is API60, API80, API100, API140, API160. Customer can choose the suitable size per drilling mud condition. Shale shaker is the first stage separation equipment for oilfield drilling mud cleaning system. It utilizes vibrating motor to generate vibrating strength. The vibrating strength drives the drilling mud to go through the shale shaker. When the drilling mud goes through the shaker screen, clean mud will filter into mud tank. Not allowable bigger solids will pass the screen surface and be discharged. –Linear motion shale shaker. 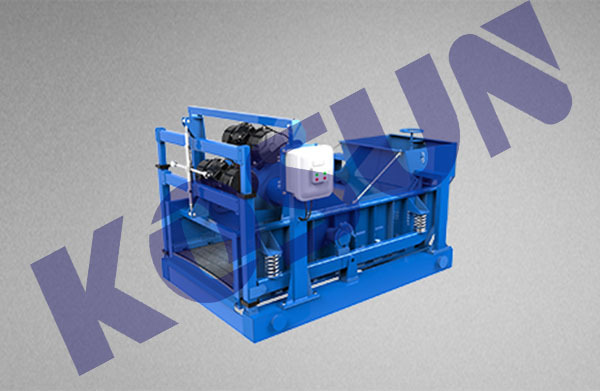 It is the most common shaker model for oil and gas drilling solids control system. KOSUN Linear motion shale shaker are ideal for high-capacity processing and the compact and easy-to-service design makes them a perfect choice for fast conveyance and heavy loading in tough drilling conditions.When drilling top-hole sections or while heavy-volume solids are encountered, in these intervals, shakers are required to generate high G-forces to effectively move high-capacity drilled solids across the screens. –Balanced elliptical motion shale shaker. It is not recommended for oil and gas drilling since the flow capacity is big. If the mud flow is not equal, the motion of shaker will be changed. And performance will not be good. Mostly, professional users prefer linear motion for wide application. In China oil drilling fluids solids control industry, KOSUN is a pioneer and leader, we has been providing solids control equipment for more than 20 years, the products include shale shaker, shale shaker screen, desander, desilter, vacuum degasser, centrifugal pump, submersible slurry pump, shear pump, mud agitator, mud gun, drilling fluids mud cleaner, decanter centrifuge, jet mud mixer, mud tank, diesel tank, water tank and complete solids control system, etc. 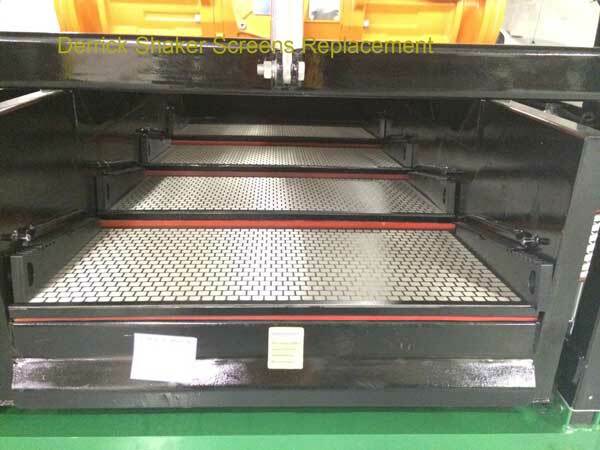 Shale Shaker Screen is main spare parts for shale shaker. Shale Shaker Screens are easy to be broken during the shaker operation when drilling well. Drilling fluids shale shaker is a kind of filterable mechanical separation equipment, compared with other mechanical solids control equipment, its unit cost is kinda of economic. And it is a highly efficient separation equipment which obtains solid removal amount. Drilling fluids shale shaker is made of screen body, machine rack and gearing. Accordingly, mechanical vibration will make solid phase which is bigger than screen hole and the adhesive attraction will screen the solid phase particles which is smaller than screen hole. But all mud can’t be processed in circulating process because of the limit of shale shaker mud permit. Usually the material of drilling fluids shale shaker is stainless knitted. Usually this kind of screen uses mesh to express the specification. Mesh is the number of screen holes, for example, a square screen that has 12 holes is called 12-mesh screen. Screen with a special outfit screen holder will screen into flake tension type fixed on the screen frame. Screen body is fixed to the rack based on spiral spring, and rubber articles’ bumper adopts the bottom-fixed type. Oil Rig Shaker Screen Frame-Much like a canvas for painting a screen has to be supported on a frame in order to do its job, this frame differs between manufacturers in both material and shape. Screen frames can be made from materials, such as, square steel tubing, flat steel sheets, plastic type composites or they can just be supported on the ends with strips of steel ( similar idea to a scroll ). These frames consist of a rectangular shaped outer perimeter which is divided into small individual inner panels. These smaller panels differ in shape from manufacturer to manufacturer and have been known to come in shapes such as square, hexagonal, rectangular and even triangular. These differing panel shapes are used in an attempt to reduce the quantity of panels on each frame but still provide maximum rigidity and support for the mesh attached to them. The purpose of reducing these panels is to maximize usable screening area as the walls of each panel get in the way of the mesh and prevent it from being used, this is known as “blanking”. 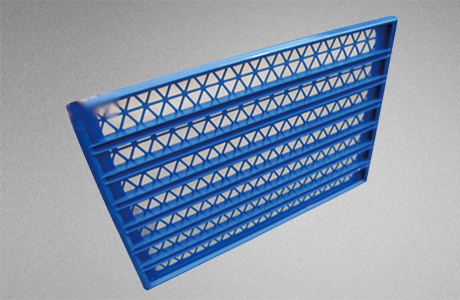 The non-blanked screening area of a shaker screen is widely used as a selling point, the more screen surface you have available to work, the more efficient your shaker becomes and therefore can handle a higher quantity of fluid. Screen Mesh-Just like thread is woven together to create cloth, metal wire can be woven to create a metal cloth. Screen Mesh has evolved over many years of competitive screen manufacturing resulting in very thin yet strong cloth designed to maximize screen life and conductance as well as to provide a consistent cut point. To increase the conductance of a mesh screen you have to minimize the amount of material in the way, this is done by either reducing the wire diameter or weaving the cloth to produce rectangular openings. Rectangular openings increase the screens conductance while minimizing the effect on its cut point where as square openings provide a more consistent cut point but offer a lower conductance. To maximize screen life most manufacturers build their screens with multiple layers of mesh over a very sturdy backing cloth to further protect the cloth against solids loading and wear. The multiple layers of mesh act as a de-blinding mechanism pushing near sized particles, which may get stuck in the openings, out of the mesh reducing blinding issues and keeping the screen surface available for use. Binding Agent-The binding agent is the material used to bind the mesh to the screen frame, it is designed to maximize adhesion to both materials while being able to handle high heat, strong vibration, abrasive cuttings and corrosive drilling fluids. Plastic composite screens tend not to use adhesives but rather heat the mesh and melt it into the screen frame to form a bond. 3D Screen Technology-One of the more recent advances in oilfield screen technology has brought us the “3D screen”, this technology is an innovative method for increasing the screening area of a shale shaker without the need to build larger machines. When seen from the side, these screens look like corrugated cardboard, having a flat bottom and wavelike shapes on top. These waves are designed to increase the surface area of the screen panel by building up instead of out, thereby maximizing the surface area of the screen without the need to build larger shaker screens and in turn larger, heavier and more expensive shakers. Derrick Shaker Screens is the key component in solids control equipment used in drilling industry. Drilling operations use a borehole technology to penetrate deep beneath the surface to reach the fossil fuel, in this pursuit the mud-loggers first need to do a sampling to ascertain the depth and quality of rock they are penetrating. In oil field digging, let’s suppose in an off-shore site, this drilling will be done with the help of drilling rig. As the drilling bit will cut through the rock underneath ocean floor, it will need some lubricant to keep it going, a drilling fluid is used for that purpose. A drilling fluid is a rich mixture of different chemicals, either oil based or water based, this is commonly known as “drilling mud”. This drilling mud is very expensive to create, and it doesn’t only keep the equipment lubricated but also help in keeping it cool and clean for further operations. The drilling bit will carry with itself drilling cuttings, essentially the rock shavings, mixed with drilling mud. The mud-loggers will extract these shavings from the drilling bit for their further analysis. As explained earlier in the article, the drilling fluid is quite expensive so it is imperative for the operators to restore the drilling fluid from the drilling waste . For this purpose various solid control equipments are used, among them a shale shaker is the foremost. A shale shaker with the help of derrick shaker screens helps in separating the drilling cuttings from drilling fluid, and the separated drilling fluid is channeled to a separate container for further processing and treatment. The dried solid, i.e. drilling cuttings are conveyed to a separate container for further treatment and disposal. In conclusion, shale shaker’s main function is to filter the drilling waste with the help of an effective derrick shaker screens and as a result help in economy of overall drilling operations and environmental prevention. 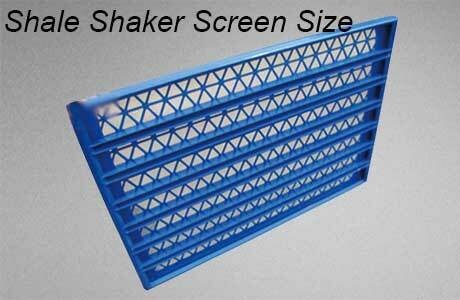 Shale shaker screen sizes is decided by shaker screens. Different shale shaker screens have different shale shaker screen sizes. American Petroleum Institute has laid down the guidelines for solid control systems in drilling industry. However, the main purpose of this standardization was to provide the end user with a fair idea of what they are investing their money into, when the purchase a certain type of shaker screen. Now, before we delve into the benchmarking by API, let us give you an overview of what the shaker screen is or why is it that important to be researched about? Drilling is widely used activity in oil and gas industry, to obtain deep seated fossil fuel to fulfill the fuel requirement across the globe, and that makes this industry quite enormous. The drilling operations are carried out on hard ground surface or on the ocean surface. In the entire drilling process, one of the main challenges is the handling of the drilling waste, it is called solid control system. The most important but easy to missed part is the shale shaker screen sizes application in real spot. API being one of the largest trading group of US in drilling industry, has set up certain industry standards to test the quality of shaker screens, that are respected worldwide. 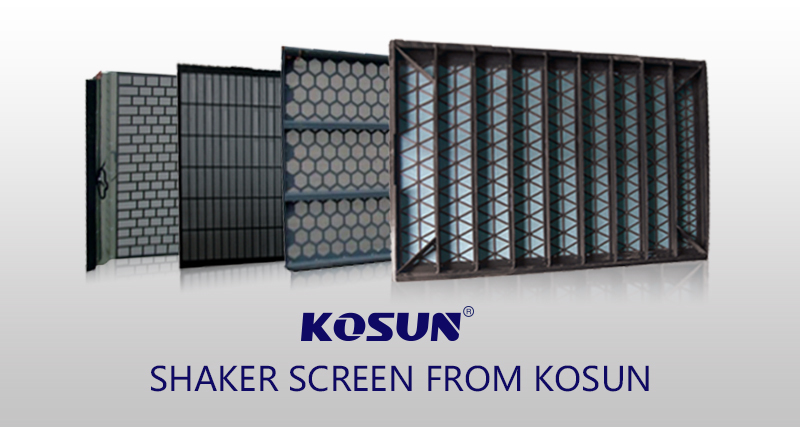 Based on these tests, they have labeled different shaker screen sizes that approved by ISO, and encourage the shale shaker manufacturers like Kosun to use those labels on the product to enable the end user for a fair comparison before purchase. While quality of different shaker screens cannot alone assure its performance, as the actual performance, in terms of conductance and life, will depend on a variety of aspects. To name a few – Handling of shaker screen, installation and replacement, appropriate tensioning, deck rubbers, storage and cleaning, volume of mud and solids, etc. Shale shaker screen sizes mean that the size of the vibrating screen is also the size of the screen. In the oil field or solid control industry, there are many different types of shale shaker screens. Shale shaker screen sizes selection is based on the original shaker screen size. Such as the overall size. The user should also consider the identified drilling conditions or mud properties. We need the main function or achievement. The popular shale shaker screens sizes including 710x1250mm，585x1165mm, 630x1250mm, 700x1050mm, and so on. Mesh sizes for oilfield solids control shaker are usually from API 40-API325. Shale shaker screen is the wear part of the mud shaker screen, mainly divided into soft sieve, sieve plate type screen, frame plate type screen. API is one of the largest trade groups in the drilling industry in the United States and has established industry standards to test the quality of vibrating screens, which are respected around the world. Based on these tests, they mark the size of the different shale shaker screens approved by ISO and encourage the manufacturer to use the labels on the product to allow the end user to make a fair comparison before purchase. Typically, at the beginning of the drilling, the screen cloth requires a rough opening. So we will enjoy a higher frequency. When drilling is getting deeper and deeper, we require more fine and finer screening. Due to the nature of the drilling mud and the cuttings are different. 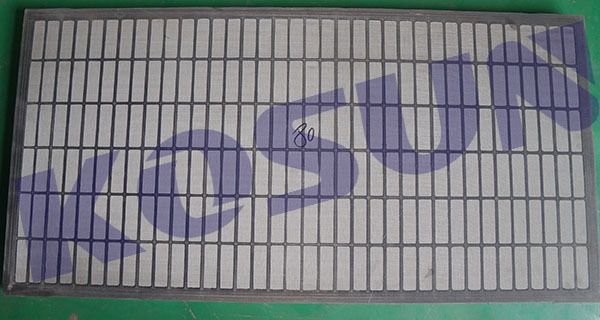 Although the quality of the different shale shaker screens can not alone ensure its performance, the actual performance in terms of conductance and lifetime will depend on various aspects. Hold a few – vibrating sieve treatment, installation and replacement, proper tension, deck rubber, storage and cleaning, mud and solid volume. Shale shaker for sale toward all over the world. Welcome to contact us.